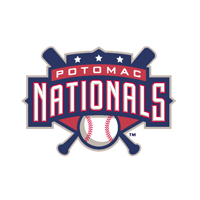 The Potomac Nationals (27-26, 13-11) used their fifth walk-off win to defeat the Salem Red Sox (27-26, 13-12) at Pfitzner Stadium 5-4 on Friday night as DH Ryan Zimmerman made his first rehab start coming back from a broken right thumb. Zimmerman went 0-3 with a sacrifice fly in the first inning that scored 2B Tony Renda. DH Khayyan Norfork delivered the game winning sac fly in the 10th frame to give the Nationals their first win this season in extra innings. Norfork pinch hit for Zimmerman in the extra frame. RHP Brett Brach, in his Carolina League debut, struck out four Red Sox batters in one inning on Friday in his first start since being signed as a free agent by the Washington Nationals. Brach tossed five innings striking out seven while allowing three hits and two earned runs. The win was awarded to RHP Robert Benincasa (4-1) who put up a scoreless top of the 10th stanza. Benincasa walked two but allowed no base hits. Salem RHP Kyle Martin (1-1) was the losing pitcher of record. After two hitless innings in the 8th and 9th , Martin allowed a leadoff infield single to C Perdo Severino (the eventual winning run), hit CF Narciso Mesa on a bunt attempt, and advanced the two runners on a wild pitch. After striking out Renda and intentionally walking SS Stephen Perez to load the bases, Norfork stepped up to win the game for Potomac. The P-Nats other runs all came in the fourth inning. Perez led the inning off with a walk. 3B Oscar Tejeda followed with a one-out single, and the rest came fairly easily. Three wild pitches by Red Sox starter RHP William Cuevas and a LF Randolph Oduber two-out double brought the runs home. Salem countered with one in the 4th inning on a fielder’s choice RBI from DH Mario Martinez. The Red Sox followed that run up with three run tallies in the 6th, two of which were charged to Brach. The other went to reliever RHP Paul Demnywho struck out two batters in 2.0 relief innings. Potomac LHP Bryan Harper retired all six batters he faced in the 8th and 9th innings. The Potomac Nationals Baseball Network, which is accessible at www.potomacnationals.com, will broadcast the second game of this four-game series on Saturday, May 31st. Broadcast coverage will begin with the P-Nats Leadoff Show at6:20pm in preparation for the 6:35pm first pitch. RHP Dakota Bacus (2-1, 3.57) will toe the rubber for Potomac as he squares off against Salem LHP Cody Kukuk (1-3, 4.43).